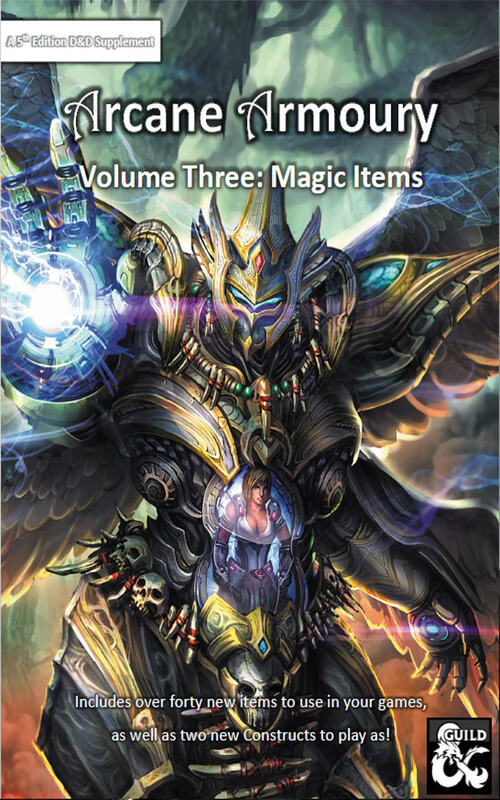 Arcane Armoury is a series dedicated to expanding D&D Fifth Edition’s quite measly item base, with new magic items, consumables, materials and even weapon types! From primitive stone age clubs to modern laser revolvers, we plan to eventually include items for all settings. This volume is full of completely new items, created over a couple of years of adventuring, all nicely compiled into a single file. In addition, it even features a myriad of new materials to fashion your items out of! Over 40 new magic items, complete with old-fashioned descriptions, lore and characteristics! We took great care to make them interesting, so you won't find any mundane ''+1 electric damage swords'' here. Illustrations and artwork by talented artists, adorning every page. 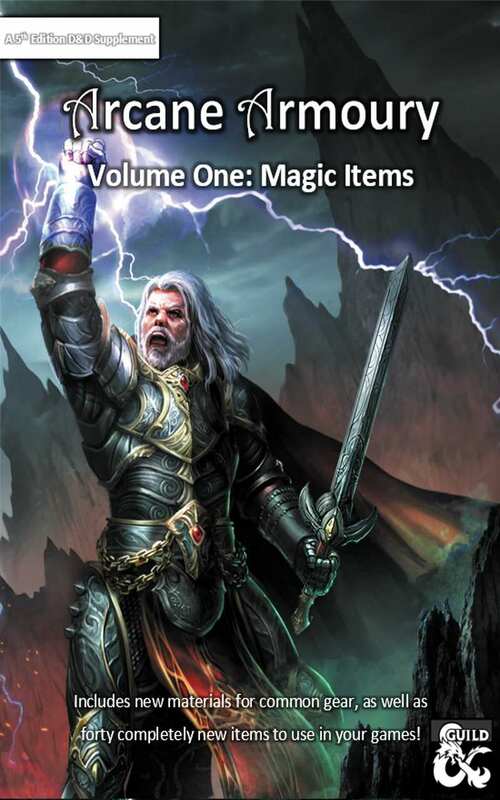 With a uniform art style fitting the classic DnD supplements, these volumes can easily be compiled together for an ever-growing tome. Brand new materials to expand your existing item selection! How about a Hyperglass Staff of Striking or a Darksteel Flame Tongue? We’ve extended the full-sized preview to 10 pages to help you make an informed decision. 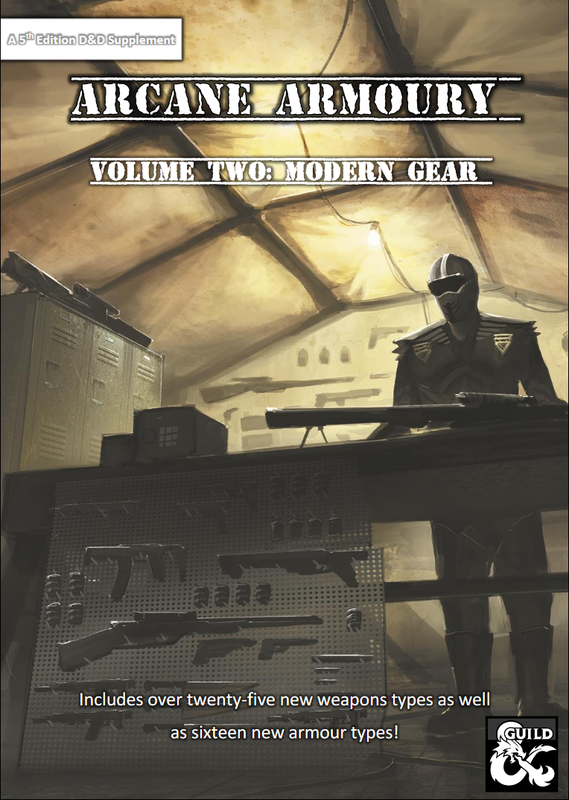 PS: We're currently taking suggestions for upcoming Arcane Armoury volumes. Leave a comment below the product and we promise that we will take it into consideration!